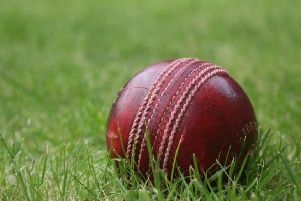 Egerton Park continued their great start to the County League season as they edged an enthralling contest at top-four rivals Kirby Muxloe on Saturday. Park remained second in Division Two and within 15 points of leaders Hinckley, with their fifth win in seven. The visitors got off to a steady start with Richard Bailey and Alex Barber taking the shine off the new ball. When the 15th over came along and the score was 45 the opening pair stepped up the pace and were hitting regular boundaries when Barber finally departed for a well-made 27. Tom Glover came in and made a quickfire 52, while Bailey continued to bat superbly well, hitting his maiden First XI century before finally succumbing for 116. Captain Charlie Madden then blasted 38 to see Egerton Park to a massive total of 285-6 from their 45 overs. On a fantastic pitch, Park knew it would be a long and difficult task to defend. Two early wickets from Glover and tight bowling from Nick Watchorn gave the visitors an excellent start. The middle overs proved hard graft, but excellent performances from all five bowlers saw Park edge a fantastic game, bowling Kirby Muxloe out with four balls to spare. Rakesh Seecharan picked up the final wicket with a stumping from the once-again impressive Matt King as the hosts finished 10 runs short. Egerton Park host Leicester Banks on Saturday for a 1pm start, hoping to keep the pressure on table-toppers Hinckley. Park: R. Bailey 116, A. Barber 27, T. Glover 52, C. Madden 38, K. Panchal 4, R. Seecharan 6, R. Haffenden 6*, H. Newton 6*, Extras 20. Total: 285-6. Bowling: N. Watchorn 7-0-40-0; T. Glover 12-1-60-3; R. Seecharan 10-0-56-2; H. Newton 10-0-72-2; C. Beeken 5-0-49-2.